A highly successful business leader, Gordon Diamond has used his success to benefit numerous deserving organizations in his community, his province, his country and countries beyond. Born and raised in British Columbia, Mr. Diamond transformed his family’s rendering and property businesses into a modern success story. Today, Mr. Diamond lends his business acumen to several boards on which he sits. Mr. Diamond and his late father, Jack Diamond, established the Diamond Foundation in 1985. The Foundation’s vision continues today through the dedicated participation of Mr. Diamond’s wife Leslie and their children. 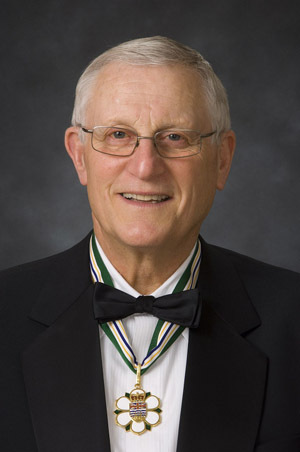 Recent donations include, gifting the land for the BC Cancer Research building, endowment of a chair in Jewish Law and Ethics at the University of British Columbia, continuing support of the Simon Wiesenthal Museum of Tolerance, building the King David High School in Vancouver and a major contribution to the Health Care Centre for the VGH & UBC Hospital Foundation. Setting a high standard for philanthropy, Mr. Diamond is known as an honest and straightforward person who earns the respect of those around him.